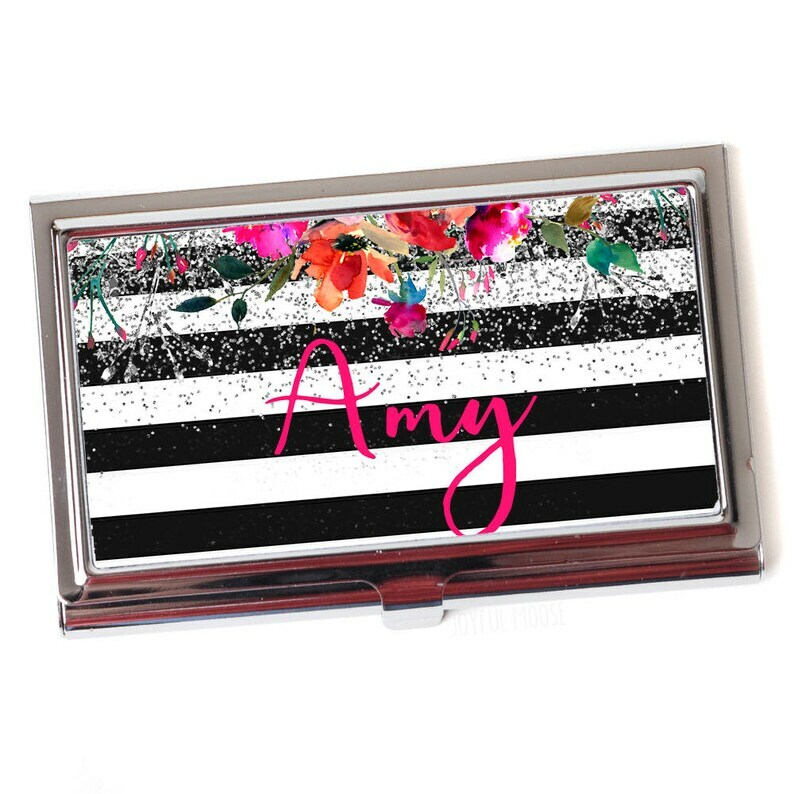 Personalized business card case for women with black & white stripes, silver glitter, floral and pink script writing. Business Card Holder measures 3.625"x 2.25"x.3125". Holds up to 15 standard size (3.5"x2") business cards and/or Credit Cards, Drivers License, Store Reward Cards, Medical ID Cards etc. Inside, the back side is lined with black velvet, and the top is a shiny metal. The outside back of the card case has a shiny silver finish. 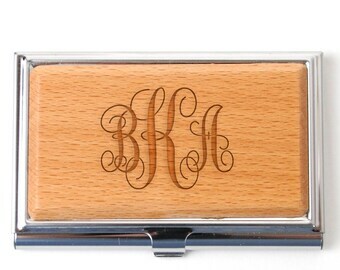 Small compact size to tuck into your purse or pocket for a credit card & ID wallet. Design is printed on the outside top of the Business Card Case. I use a high quality heat transfer printing process for a vibrant, permanent, long lasting image that will not fade, peel or rub off. The case was just as described. Very pretty.